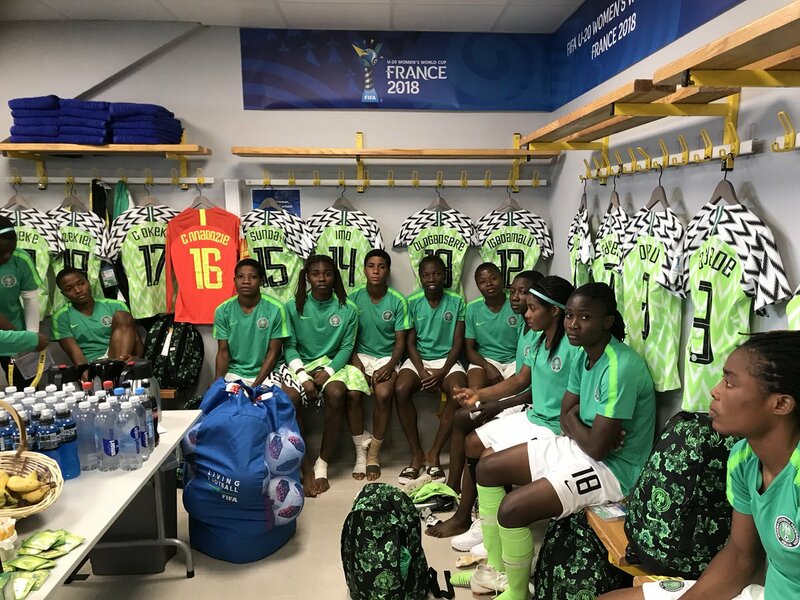 Nigeria’s female U20 national team, Falconets have won their first game at the ongoing FIFA U20 World Cup tournament in France following a slim 1-0 win over Haiti in a Group D clash. The only goal of the game came on 36 minutes when Rasheedat Ajibade found the back of the net from the spot after Anam Imo was fouled in the Haiti box. The Nigerian team thereafter had goalkeeper Chiamaka Nnadozie to thank for the hard-fought win with several saves, especially in the second half. In the other group game played earlier, Giulia Guinn and Laura Freigang scored to give Germany a 2-0 win over China PR. The victory catapults Nigeria from bottom to second spot in Group D thus boosting qualification hopes for the knockout stage, while Haiti drop from 3rd to 4th position. Nigeria will face China People’s Republic (China PR) in their final group game on Monday with Haiti facing Group D leaders Germany on the same day.